Regarding wastewater treatment plants, Valmets measurement solutions are used in both industrial and municipal plants for even the most challenging applications. Possible placements are shown in the above figure. Click at the picture and do it also at the picture you get from Valmets page and you are able to look at the various possibilities. Valmet Total Solid Transmitter (Valmet TS) represents the new microwave technology for the waste water industry. Valmet has extensive experience and know-how in microwave technology. 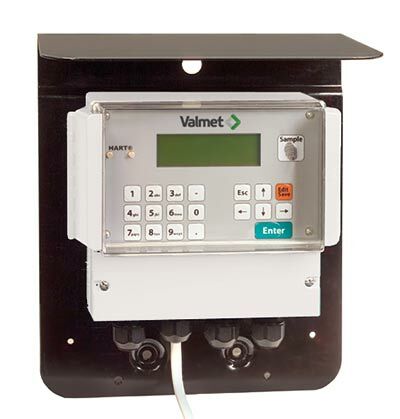 In the waste water industry Valmet TS measures and controls total solids for optimal process performance. With Valmet TS from 0 to 35% total solid can be measured in sludge in all the processes where a fast and true value for the content of sludge solids is wished. This makes is possible to quickly intervene in the process. 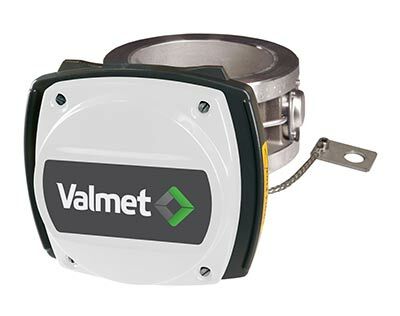 Valmet Low Solids Measurement (Valmet LS) is for measuring low solids. It allows wastewater treatment plant operators to measure low solids in difficult applications like centrifuge centrate and in aeration tanks mixed liquor suspended solids. Until now, no online measurement technology was available that would enable reliable measurement of a media with very low solids contents. Valmet LS device can be connected online to the process, and it is possible to measure continuous sample flow through the system by using an integrated centrifugal pump. The system has two light sources: LED and Laser. When sample passes through the measurement cell, the absorption, scattering, and depolarization signals from both of the light sources are measured. The Valmet LS measurement system deaerates, filters, and measures the process solids, along with possessing self-cleaning capabilities to keep the measurement optics clean. The Valmet SDO can be installed on one centrifuge or the entire centrifuge installation. Valmet would be glad to discuss the requirements and offer a superior solution for centrifuge optimization and control.